FC07 - 1,781 Sq ft, 3 bedroom, 2.5 bath townhouse features a great room, designer kitchen with quartz countertops, an island with bar counter, stainless steel appliances and wood laminate flooring. Main level master suite includes a large walk-in closet and walk in shower. Lower level features a family room and two bedrooms, full bath and plenty of storage. Oversized single car garage and desert landscaping. This home is perfect for anyone who wants a home in a unique community with a private park that includes walking paths, ponds and water features, amphitheater and nature areas. The home is constructed by 2018 Home builder of the year, MonteVista Homes. 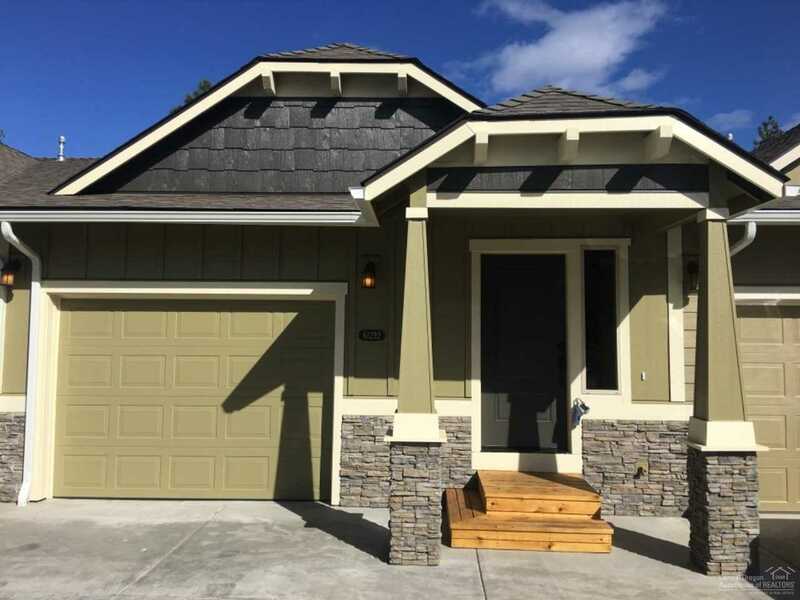 Located off Shire Ln and Benham Rd with shopping nearby and easy access to 3rd street, the bend parkway, Old Mill and downtown Bend.. Due to construction safety, a MonteVista Representative needs to accompany you for a tour of the property! Listing provided courtesy of Pacwest Realty Group. I was searching for a Property and found this listing (MLS #201902544). I would like to schedule a showing for 61292 Ring Bearer Court Bend, OR 97701. Thank you! I was searching for a Property and found this listing (MLS #201902544). Please send me more information regarding 61292 Ring Bearer Court Bend, OR 97701. Thank you!